My Thoughts Upon It: Thermal water is minerals enriched water that is harboured from natural springs in France. 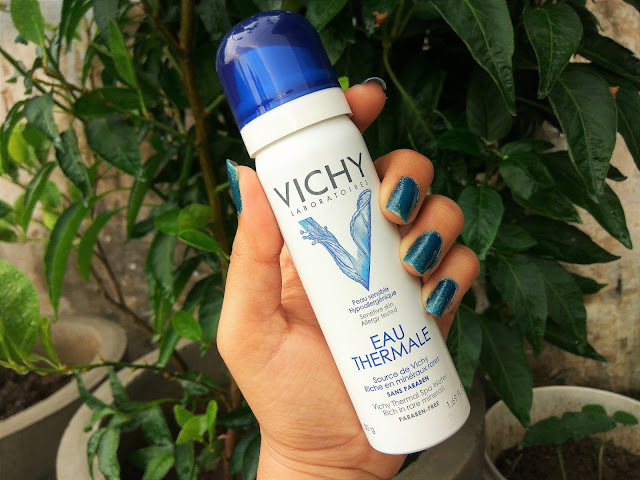 Vichy Thermal Spa water can be used in multiple ways. For instance, you can spray some while making your face pack mixture or spritz it directly onto the face. It works miraculously well with sensitive skin type and has been allergy tested. 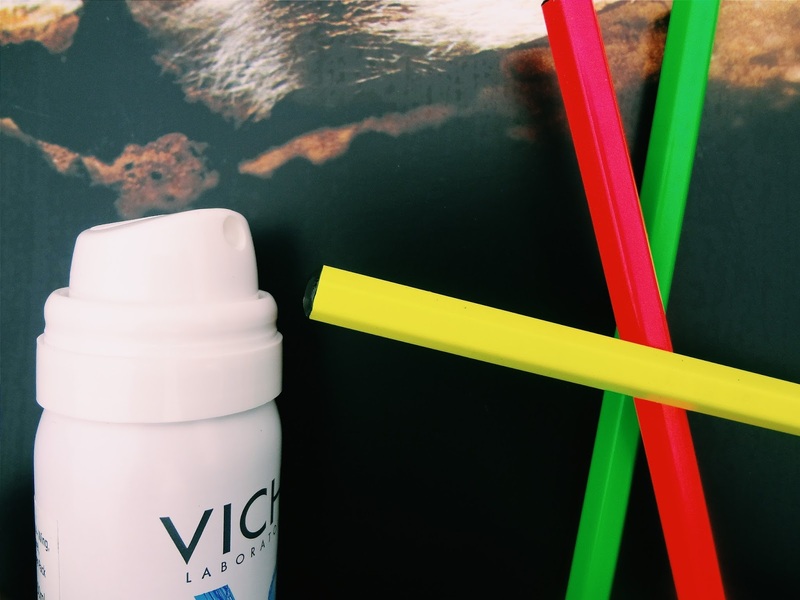 It comes with a spraying nozzle as in the case of mists or perfumes. It reduces any kind of redness and calms doing the skin. It makes the skin feel refreshed and mildly moisturized. 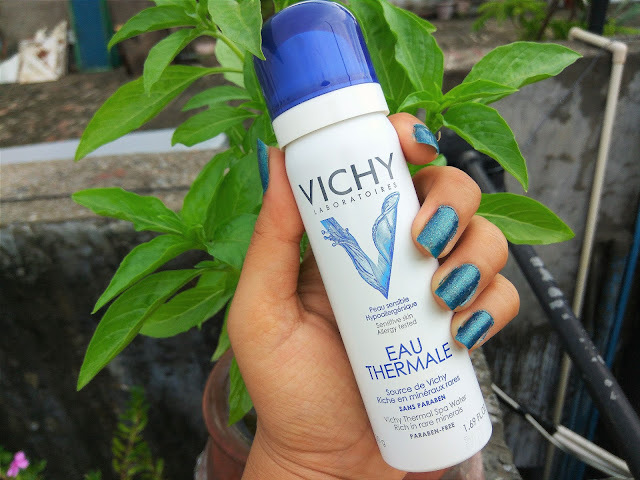 I’d say it does not really work like a cream that eliminates dryness easily, but the moisturization that this Vichy water delivers is just adequate for oily or combination skin type. It does not make the skin feel sticky or oily. I once used it before foundation application and it made the blending much easier. This can also be used on top of your makeup but I did not try it out that way because it’s a skin care product and the quantity received isn’t too great as well so I don’t wanna waste it without acquiring maximum skin care benefits from it. 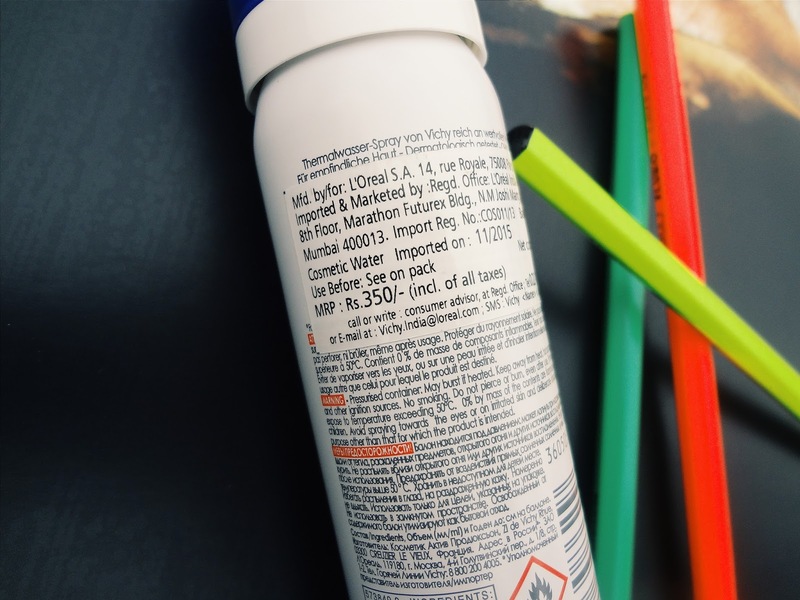 I love the fact that it is travel friendly and you can simply throw it into your college or work bag and spray it on without any hassles.